The Markem Imaje 5600 large character inkjet printer represents the latest in liquid piezo technology, delivering a uniquely competitive cost-per-print coding solution for your corrugated cases and trays. Markem-Imaje’s patent pending, quick-drying liquid ink, combined with our printhead technology, provides superior opacity delivering clear, consistent images, text and readable barcodes with less ink per print. Quick-drying liquid ink prints on a wide range of porous substrates and in environments ranging from 0 to 40 ºC. The printer, boasting print speeds up to 182 m/min., can be equipped with an optional printhead slide assembly optimising both print gap control and print quality. Cutting-edge communication capabilities include color touch screen, Ethernet, USB, and web user interface. Optional CoLOS® Enterprise networking software is available for central management of data from remote databases or ERP systems. Compact, modular design for stand-alone operation or complete integration. Fully upgradeable hardware and software to meet changing business needs. The advanced rigid ink management system, which includes a large capacity, self-contained, cartridge designed to recover purged ink, can be replaced during production for continuous operation. 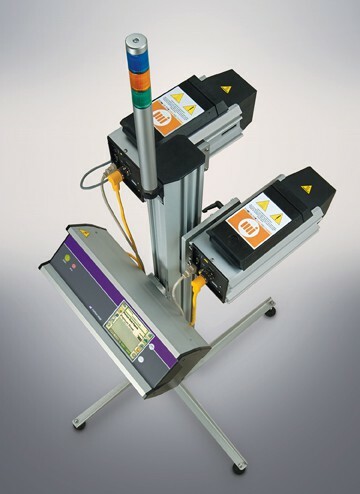 Our unique ink jetting technology reduces mess and maintenance for ultimate control of printing costs.